See what EFCI 1.5 Generation is up to. Find summary, sharing, and life events here in the community page. EFCI 1.5 Generation celebrated its first service with rest of the EFCI family for the first time on August 27th, 2017. Living Spring hosted it's annual cooking night, AKA Chopped at our Friday night event. It gave all the members a chance to participate in cooking, watching, and most importantly, being a foodie! Part of being in a family is about physically being there for one another. How can we be called a family if we don't know the members from other congregations here at EFCI? 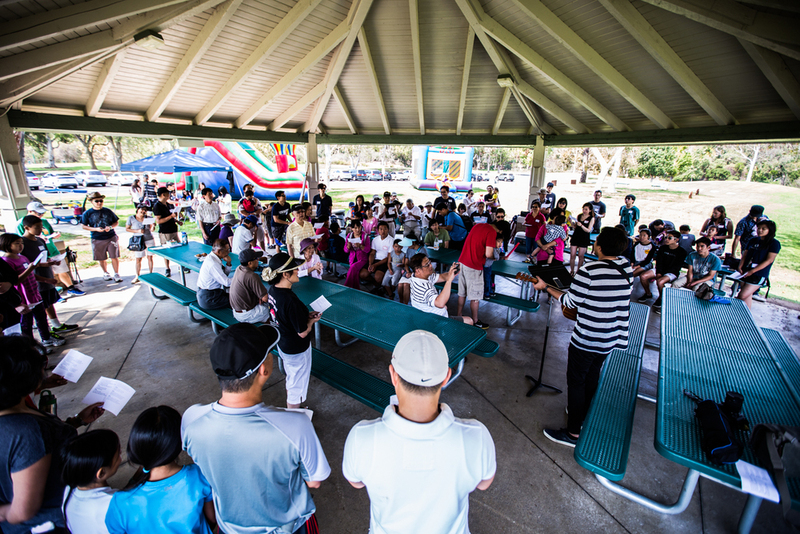 Therefore, we hosted our EFCI picnic event to help us get to know one another and spend time enjoying each other's company for the better part of our Saturday at William R. Mason Park in Irvine. It was a fun afternoon filled with laughters and no shortage of food (hence the word picnic). Through this event, we were able to know people from other congregation and interact with one another on the basis of fun. We look forward to the next EFCI event!